Once again Seattle ranked second in annual home-price growth — behind only Portland, according to the Case-Shiller home price index. But on a month-to-month basis Seattle's prices are now growing more slowly than the average U.S. market. Home prices throughout Greater Seattle are continuing to accelerate, and are now surging at their fastest clip in more than two years — but there are some signs indicating the ride into the price stratosphere is starting to slow. The typical single-family home in July cost 11.2 percent more than a year ago and is at an all-time high, according to the new Case-Shiller home-price index released Tuesday. Seattle ranked second in annual price growth — behind Portland — for the seventh straight month. During that span, in each month home prices in Seattle have grown twice as fast as the national growth rate, which was 5.1 percent in July. The last time Seattle home values grew this fast on an annual basis was April 2014. Before that stretch, home prices hadn’t grown this fast in 10 years. Home values have now consistently skyrocketed for 4½ straight years, taking their toll on potential buyers. In all, a typical house costs 58 percent more than it did when the market bottomed out in early 2012. Still, drilling down more closely at the short-term, home prices in July inched up just 0.6 percent from the month before, down from 2.4 percent when the spring began, the Case-Shiller data show. Earlier this year, Seattle had the fastest-growing home price on a month-over-month basis — but now it’s just tied for eighth among the 20 large metro areas studied. Seattle’s monthly growth is now actually slightly below the national average. 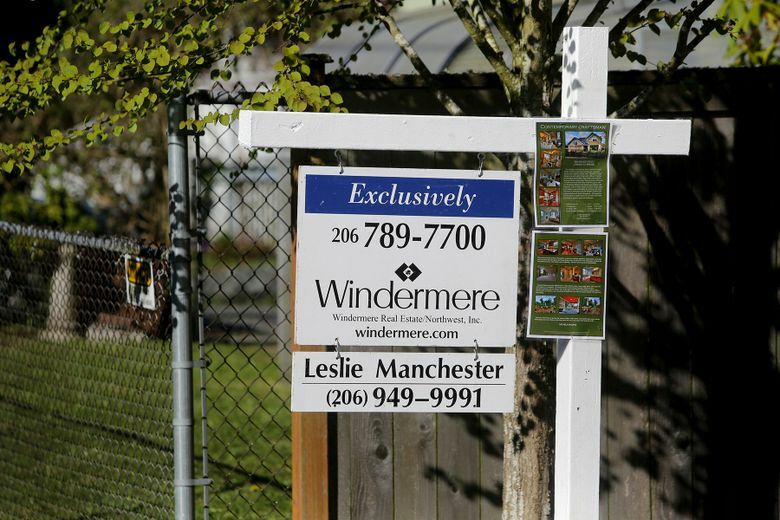 McLaughlin said the same sudden drop happened in July in each of the past two years, which is likely a reflection that the homebuying season slows down in Seattle earlier than the rest of the country. The good news for buyers here is that his analysis of the data show home-price growth remained very small in each of the last two falls and winters, before surging again in the spring. If that history repeats, home prices here wouldn’t start ramping back up significantly again until next March. Looking at types of homes, those seeking starter homes have been hit hardest. Prices are up 12.4 percent in a year for the cheapest homes, compared with 10.7 percent for luxury houses. The national home-price index is now just a hair below the record set before the recession. But Seattle passed its previous 2007 high earlier this year and is now 6 percent above its previous peak. David Blitzer, managing director and chairman of the Case-Shiller home index committee, said the national growth rate is “probably not sustainable over the long term” given that it’s rising more than twice as fast as inflation. But “there is no reason to fear that another massive collapse is around the corner,” Blitzer said in a statement, citing data showing people are paying off their mortgage debt better than in the bubble that inflated before the recession. Svenja Gudell, Zillow’s chief economist, noted the rising home values are finally being supported by higher incomes, as the Census Bureau reported earlier this month that Americans — led by Seattle — were seeing some of their highest pay raises in decades. “The bad news: incomes are so far behind that they need to do a lot of catching up before homes become more affordable, especially for those at the bottom of the income distribution and in the country’s most expensive markets,” Gudell said in an email. The Case-Shiller index tracks single-family home sales in King, Snohomish and Pierce counties and does not include raw price numbers. The most recent data from the Northwest Multiple Listing Service showed the median home sale in August was $625,000 in Seattle, $550,000 in King County and $400,000 in Snohomish County.